What if I believe the Lawyer who is handling my case is not doing a good job in representing my rights? 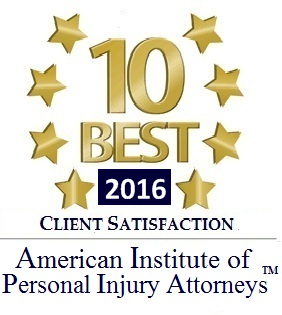 Can I get a new Rhode Island Personal Injury Lawyer? Who will pay for the legal services rendered by the old attorney? In Rhode Island, you have the right to obtain a new Personal Injury Lawyer at any time. Your previous car accident attorney may have a lien against your personal injury case. If you obtain funds as a result of a settlement or judgment, your old RI Car Accident Attorney will have a right to be paid for his/ her services. However, you will not be forced to pay your previous Automobile Accident Attorney upon obtaining a new Personal Injury Lawyer. When your Personal Injury case is settled, the Lawyers will divide the legal fee. 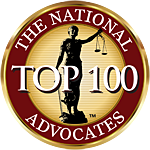 It will not cost you additional funds to obtain a new Personal injury Lawyer. The Lawyers must come to an agreement as to dividing the legal fee. Should I wait before I hire a Rhode Island Personal Injury attorney? You should contact a RI Auto / Car Accident Attorney immediately after the Motor Vehicle accident. It is not a good idea for a person to be dealing with the insurance company without the benefit of a Rhode Island Personal Injury Lawyer. Can the insurance company require me to give a statement? There is no legal obligation for you to give a recorded statement to the Insurance Company. However, if the insurance company is your own insurance company, you may be contractually obligated to give a recorded statement. In some instances it is helpful to your case to give a recorded statement. You should not give any statement unless you have legal representation present and you should acquire a copy of the transcript. What Legal cases are pusued on a contingent fee basis? Car accidents, Motorcycle, Bike and Bicycle Accident, Auto Accidents, premises liability, slip & fall, trip & fall, bicycle accidents, boat accidents, motorcycle accidents, truck accidents, pedestrian accidents, wrongful death, uninsured or underinsured, motorist claims, dog bite claims, etc. 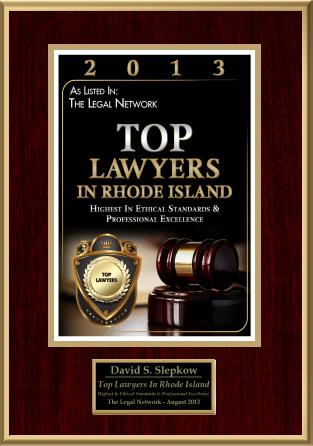 David Slepkow is a (RI) Attorney practicing in personal injury, automobile / car accidents, slip & Fall, premises liability & insurance claims. No fee unless successful. Evening and weekend appointments available. Home and hospital visits available. It’s actually a nice and helpful piece of personal injury info. I am glad that you shared this helpful info with us.